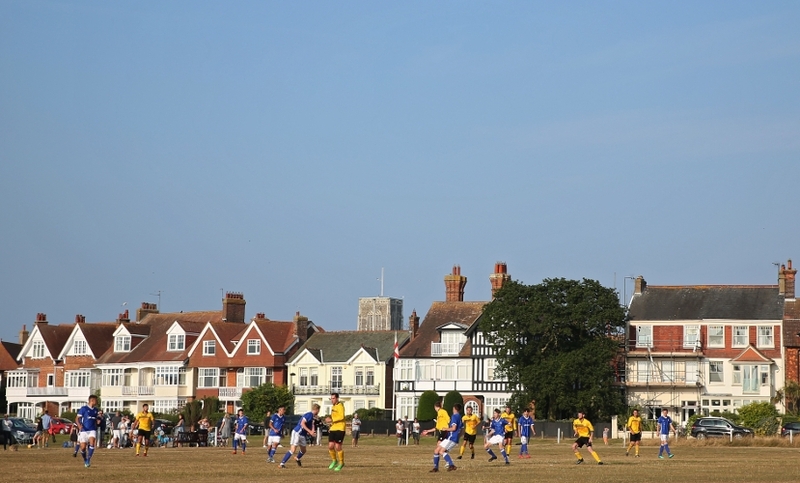 The Blues' U18s came within just four minutes of being held to a draw by Southwold Town in their traditional friendly on the Common on Friday evening but late strikes from Thomas Hughes and Zak Brown meant they started their pre-season programme with a 2-0 victory. The young Blues, with former midfielders Adem Atay and Kieron Dyer in charge, named three of this season's first-year scholars in their starting line-up with Dylan Ruffles at right-back, Irishman Matt Healy in central midfield and Lewis Reed, grandson of former Blue Billy, in attack. Kai Brown, who was signed from Grays Athletic last season, started on the right side of midfield. Brown had a good chance to open the scoring after just six minutes after some good build-up play but he couldn't beat Jordan Saunders in the Southwold from close range. Reed nodded inches wide following a diagonal cross from Ruffles and then had a back-post header ruled out for offside just after the half-hour mark, minutes before Saunders fumbled a weak freekick from Lounes Foudil but managed to prevent the ball crossing the line. 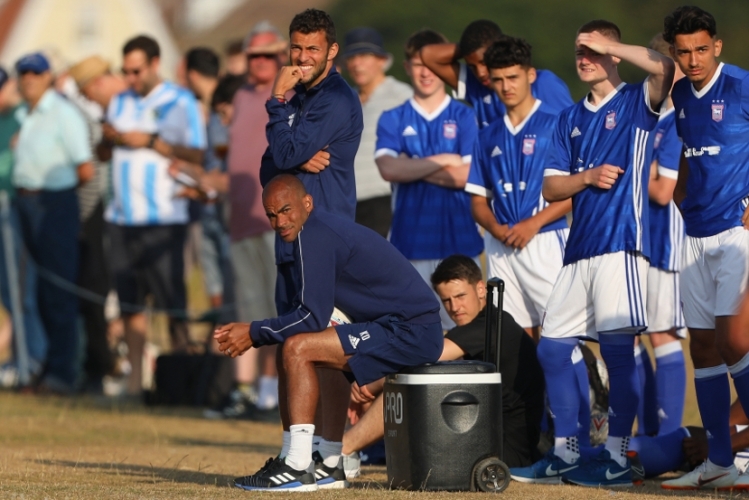 Town changed their entire team at the break and introduced 15-year-old Canadian starlet Marcelo Flores, who has recently been linked with a move to Arsenal, at left-back. The Blues came within inches of finding the net as the hour mark approached when Zak Brown's low effort across the face of goal was turned onto the foot of the far post by Idris El Mizouni. Armando Dobra picked up the loose ball but curled his effort just wide of the target. 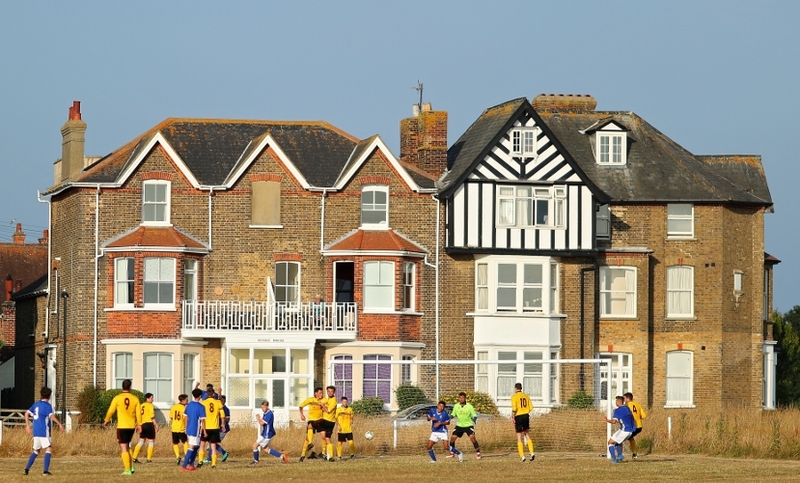 Tyreece Simpson and Zak Brown both failed to test Saunders when they would have expected to have found the target before a flurry of Southwold substitutions disrupted the flow of the game on a very hard and dry surface. Saunders produced a magnificent save to claw Dobra's flicked header away from the far corner following a fine cross from Flores on the left, but on 86 the home keeper was finally beaten. Flores's ball into the danger area again caused problems but this time Hughes got the better of the home defence and found the roof of the net. Within a minute Zak Brown secured the win after a bustling run forward and a good low strike into the bottom corner of the net from the edge of the box. While Dyer didn't make a guest appearance this season as he did last year despite being named on one version of the teamsheet, he would have been impressed with Reed, who caused problems for the home defence during the opening period, and Flores who got forward well and delivered a number of dangerous crosses into the area after the break. U18s: Egan (Alley 46), Ruffles (O'Reilly 46), Clifford (Flores 46), Ronan (Baker 46), Scott (Henry 46), Vega (Woerndl 46), K Brown (Z Brown 46), Healy (El Mizouni 46), Reed (Simpson 46), Foudil (Dobra 46), Barley (Hughes 46).